Life appears to have come a full circle for Sonia Dhawan. Five months after being arrested from the Paytm office and being thrown in jail, the Paytm Vice President has rejoined her company. Dhawan had been granted bail last week by the Allahabad High Court, and has immediately joined her former employer. This is a bit of an unexpected development, given how Paytm CEO Vijay Shekhar Sharma had earlier hintd that a gang led by Dhawan had his personal data in their possession, and had been blackmailing him. In October last year, Dhawan, along with her husband Rupak Jain and another Paytm employee, had been arrested by the Noida police. It had emerged that the arrest had been made following a complaint by Paytm CEO Vijay Shekhar Sharma, who’d said he’d been getting blackmailed for Rs. 20 crore. It had then been believed that Dhawan, who was also Sharma’s personal secretary, had used her proximity to the Paytm boss to steal data, and then had him blackmailed through a proxy in Kolkata. While in prison, Dhawan’s relatives had maintained that she was innocent. Her lawyer in court had said that “it cannot be said that the applicant ever indulged in any illegal activity secretly obtaining any data from the laptop of any device of the informant or his company and she never blackmailed as such”. Dhawan, however, hadn’t managed to immediately get bail — while her husband had managed to get bail in February, she’d been lodged in prison ever since the controversy broke out. At one point, Vijay Shekar Sharma had said that Dhawan had been a part of “someone’s bigger plan”. But her rejoining Paytm would mean that Paytm now believes that she had no role to play in the conspiracy. Given that she’d been lodged in prison for the last five months on the Paytm CEO’s complaint, this seems to be a pretty major change in stance. It’s however possible that some new information has come to light since she’d been arrested, which now proves her innocence. Sonia Dhawan’s return to Paytm, though, raises even more questions than it answers. 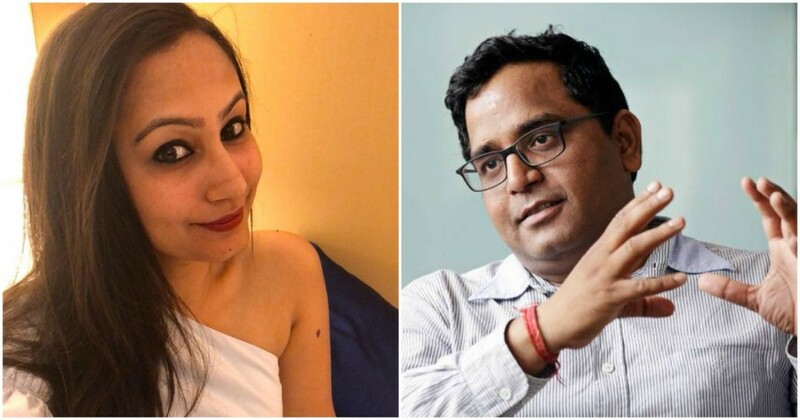 If Sonia Dhawan wasn’t responsible for the blackmail, there’s still no clarity on who was blackmailing Vijay Shekhar Sharma. Also, there’s no understanding on what new information came to light which not only enabled her to get out of jail, but also be welcomed with open arms by her employer. And like before, there’s still no additional information on what the supposed stolen data — the very cause of this hullaballo — actually contained. While things now seem to be alrught between Paytm and Sonia Dhawan, there are still unexplained parts to the mystery that had so riveted the Indian startup ecosystem last year.